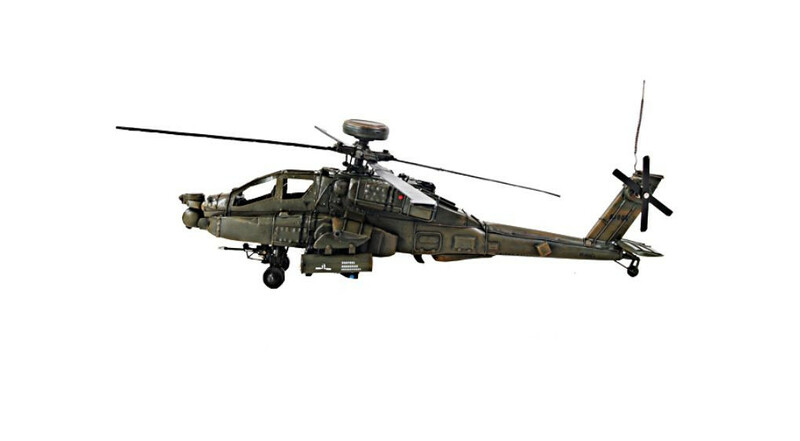 DESKTOP Fully Assembled Display Model / No display stand included. Model sits on landing gear. 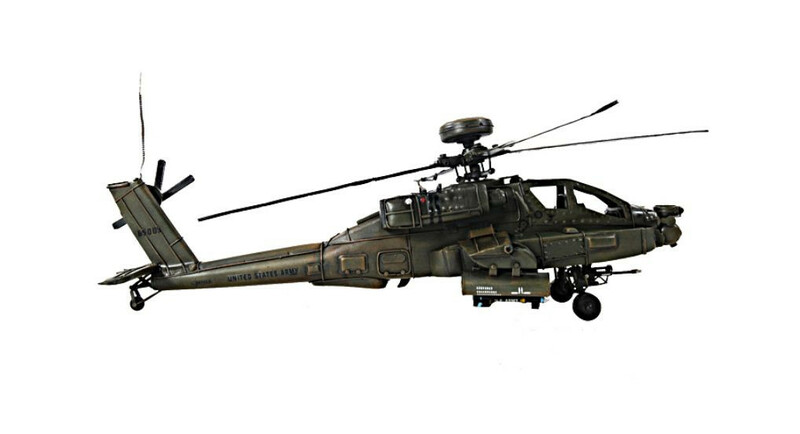 Length: 18 1/2" R/S: 18 1/4"
This 1976 Boeing AH-64 Apache is the US Army’s primary attack helicopter, and the most advanced helicopter gunship flying today. It’s handcrafted in iron frame with a scale of 1:32. 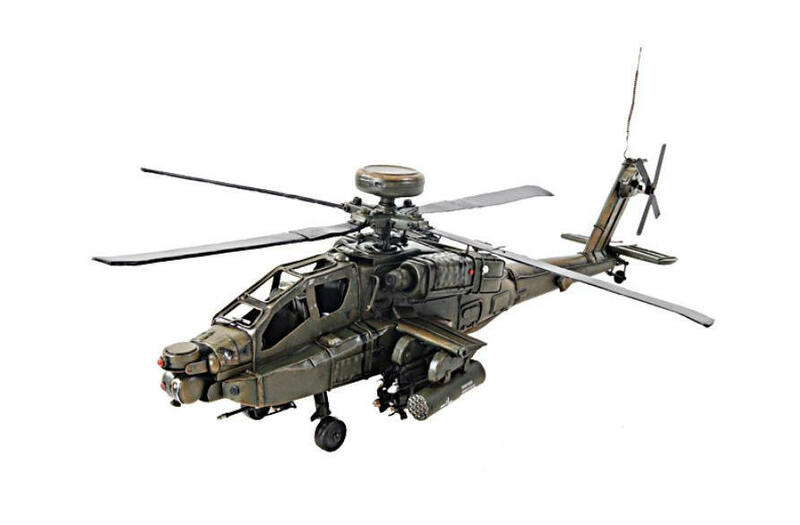 This Boeing AH-64 Apache model comes with remarkable details such as rotor mast, rotor blade, tail rotor, landing skids, machine guns and cockpit. A must have for the collector and enthusiast!